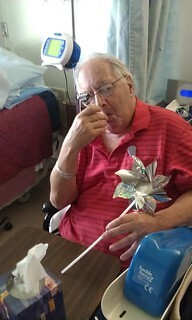 Is the Green House the New Nursing Home? Every so often, cultural institutions give way to paradigm shifts. That might be the case with the conventional nursing home, according to a new report from The New York Times. In today’s society, when parents age and become less self-reliant, they generally have three options: live with children or other close family members, hire in-home care, or move into a nursing home. It’s not always a choice between the three, though. Living with family requires relatives with sufficient time and space for providing attendant care. In-home assistance, meanwhile, is extremely expensive — especially if it has to be around the clock. 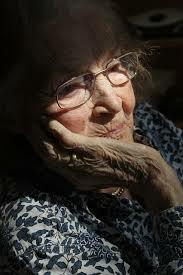 So without adequate resources, many elderly people resign to the nursing home by default. That isn’t always a bad thing. 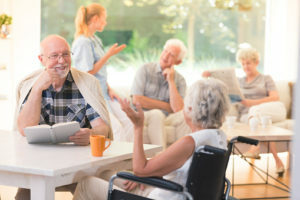 Some nursing home experiences prove to be happy and effective ones for their residents. But, as the Times argues, many would rather live somewhere else if given the chance. As I mentioned earlier, though, paradigms change. Increasingly, seniors aren’t resigned to just the three conventional choices anymore. A variety of innovative approaches to senior living are diversifying the elder care marketplace. One promising example is the Green House Project, a new kind of living environment for older Americans, already available in more than half the country. (There are currently two locations in Massachusetts — Westwood and Chelsea). Green House residents live in pleasant cottages with their own private rooms and baths. The idea is to create a community in which seniors help take care of themselves and each other. For example, those who’re able can help prepare the Green House meals, which are served in an inviting dining room rather than a stifling cafeteria. Residents schedule their own mealtimes and generally enjoy greater autonomy than they might have in a nursing home. The Times talks about the project as a potential catalyst for industry-wide change. That’s an inspiring thought, especially when you consider that a variety of other nursing home alternatives are flourishing throughout the country at the same time. Things keep looking up for the future of senior care in America, and I can’t wait to see what comes next. Moving is always a stressful experience. 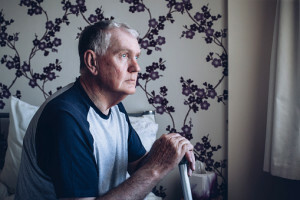 But for an elderly person who may be forced to give up his or her home — and possibly independence — it can be downright traumatic. However, an article I read last week in the Wall Street Journal on line offered some tips on how the transition can be eased. The most important, the article said, is to offer the older folks the opportunity to make their own choices, if possible. The earlier planning is started, the better. Starting the discussion early allows for all options to be considered. Of course, many older folks will not want to have that discussion, but it is important to remind them that if the time comes when they cannot make their own decisions, they will have to be made for them. This way, they get to choose. If assisted living is in the picture, the adult children should do the research and present the options to their parents. They should be given the chance to visit the various facilities and, once a decision is made, should be given the opportunity to decide what personal possessions they want to bring with them. Many facilities will have floor plans available so the furniture layout can be finalized weeks in advance. Make sure to get the new residence set up, and the personal items unpacked before your parents spend their first night there. Check with the on-site case managers to see if the adult children should spend a lot of time there in the first few weeks. Some facilities have advised that the children not spend too much time with their parents because it gives the parent a chance to get adjusted on their own. At the same time, you cannot neglect your own families and duties. Moving parents can be a challenge, but, done right, it can be done well.